This week, Geoff and I received a few emails asking us about an art inquiry from "James Duckworth". Hi there,my name is James im an art collector from Ontario,was browsing through the internet and my eyes caught this particular work, will like to have it for my new apartment probably this month.please let me know if the piece is available and if yes let me have the detailed price and more information about it.kindly reply me with your phone#. If you do a quick Google search "on the general text in the email", you'll find a list of many artists who received almost exactly the same email from a "Robert Hallins" a few years back. 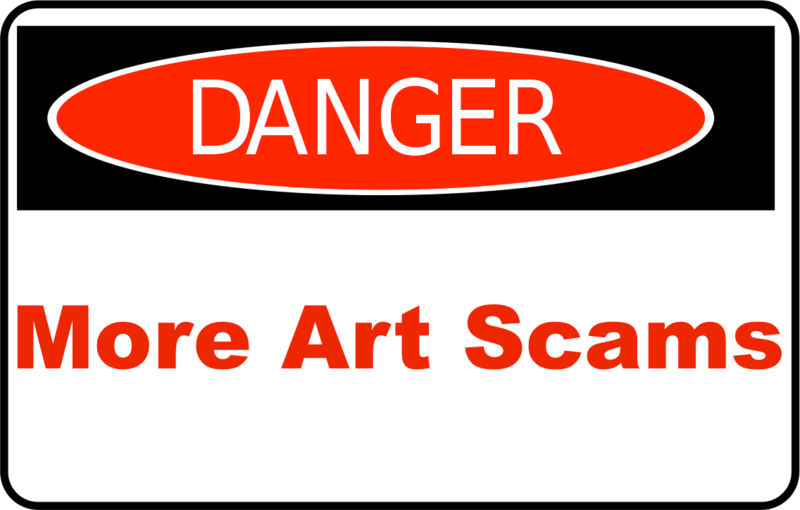 Every few months, we like to remind you that not every art inquiry is legitimate. Unfortunately, this latest request IS a scam. Many thanks to those of you who brought this to our attention! If you ever have any questions about an inquiry, please feel free to send it our way!